BOUNTIFUL — Successful businessman Wayne Belleau has an easy laugh. But walking is anything but easy. “It hurts down this side here, and it hurts down this side here,” Belleau said, gesturing toward his knees. He chose the FDA-approved method where a surgeon uses a robotic arm to assist him in the operating room. Early studies show the robot improves alignment and is more accurate and consistent than traditional methods. 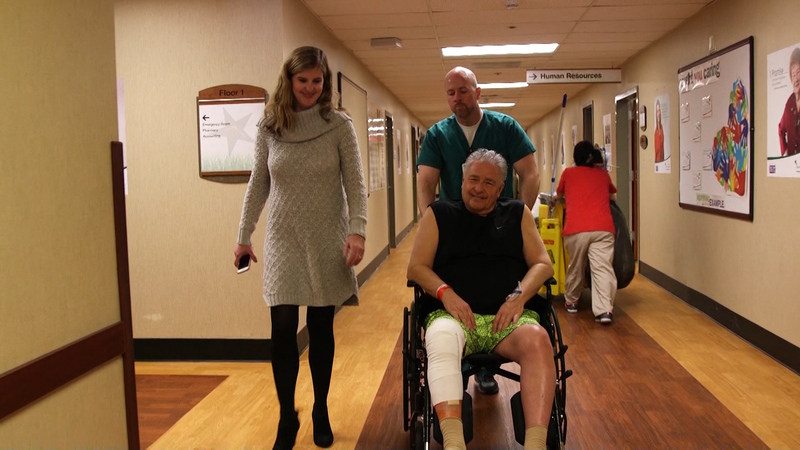 His surgeon, Dr. Joshua Hickman, orthopedic surgeon at Lakeview Hospital, said it will improve his life. “Give him correct alignment; allow him to function at a higher level,” he said. To prepare for the surgery, doctors used a CT scan to get a 3-D image. They made it into a model and created a plan. Then, they uploaded the information to the robot. Nurses prepped Belleau for the surgery, which took about an hour. The robot allows surgeons to make last-minute adjustments inside the OR. “We’ve never been able to, in the middle of the case, change what we need to do and then be able to perform that accurately,” he said. Hickman guided the robotic arm, shaving off bone to prepare for the prosthetic. They placed trial prosthetics to make sure they have the right fit. “I will change the angle of the cut. I will take more bone in some areas,” Hickman said. Then the new knee went in. He was up walking around and already dreaming of what he’ll do. “It would be fun to shoot some hoops around,” he said. Belleau also hopes to hike and bike without pain and walk with a normal gait. 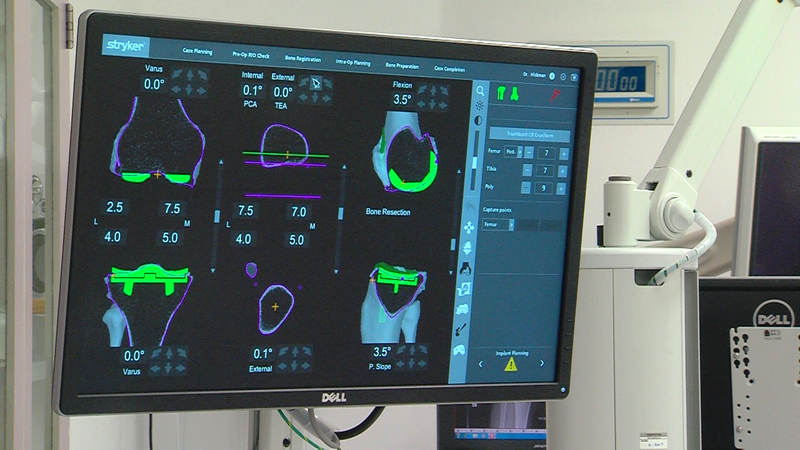 The robotic-knee assisted surgery will likely be released to a broader market this spring. Researchers don’t yet know if it improves function and longevity, but poor alignment during surgery can lead to early wear and tear. For Belleau, it’s freedom and a new life. Hickman said more surgeons are using robotics in the ORs to increase precision and accuracy. Lakeview Hospital in Bountiful is one of 10 locations in the country performing this surgery, and the only one in the Intermountain West.